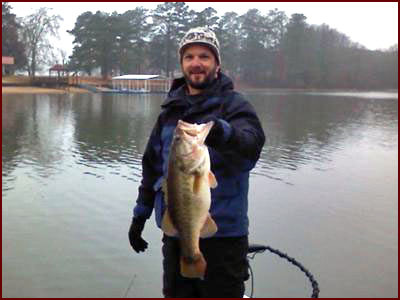 More Lake Greenwood Largemouth Bass - Can You Spell "Hawgs "
And Yet Another One! Where Is Greenwood Lake? Somebody Get Me a Map! "If you can turn your attention away from catching some of the smaller males that move up a little early you can catch a fish of your lifetime around February in the South." 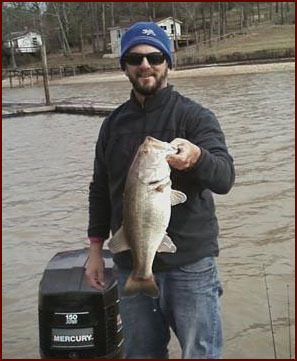 "The Lord has blessed me several times on this lake and He deserves all the praise." Hey, it's my site so I get to. Clearly Mike knows how to catch bass. 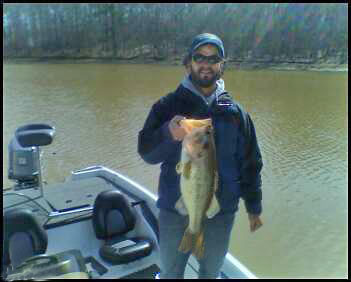 Big bass and in cold weather. That's a talent. I'm here to tell you. However, he could use a little help in the "photographing your catch" category though. Got a little fuzziness going on in a few. I'm just saying. Just pulling your leg Mike. Great bass! All we bass Bums wish we could catch them like you do. Comments for More Lake Greenwood Largemouth Bass - Can You Spell "Hawgs "
There is an open invitation for you if you ever get in the area. 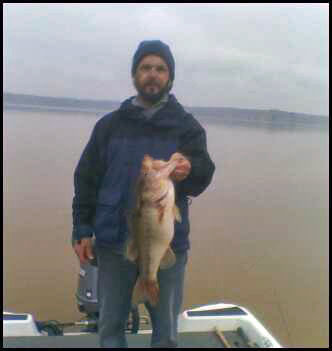 I fish Greenwood in February & March then migrate my way over to Clarks Hill or Murry from there. Please let me know if I can ever be of any help! Join in and write your own page! It's easy to do. How? Simply click here to return to My Fishing Pictures of Bass.